Mr. Yarden oversees the financial structuring of projects in California and Texas, arranging commercial debt and equity facilities and public agency financing. He supervises the acquisition, due diligence, underwriting, and closing of new projects, manages AMCAL’s relationships with financial partners, and handles company legal matters. Mr. Yarden joined AMCAL in 2003 and has worked in the real estate and affordable housing industries, for over 20 years, including acquisitions, development, and syndication of housing projects financed with low-income housing tax credits and tax-exempt bonds. He also has served as corporate counsel for a national syndicator of housing tax credits. 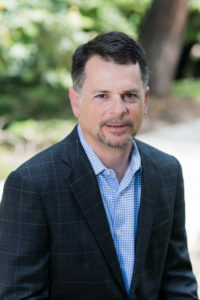 Mr. Yarden obtained a Bachelor’s of Science in Engineering from the University of California, Los Angeles, a juris doctorate from the University of Texas School of Law at Austin, and a Master’s Degree in Real Estate Development from the University of Southern California.